This tape first came out a quarter-century ago. I was 12 or 13 at the time, and my first tape was Pearl Jam’s “Ten”; I listened to it (and lent it to a friend who returned it) warbled beyond recognition. I later bought the Compact Disc at 16 and my siblings appropriated/mishandled it until it was scratched up beyond use. 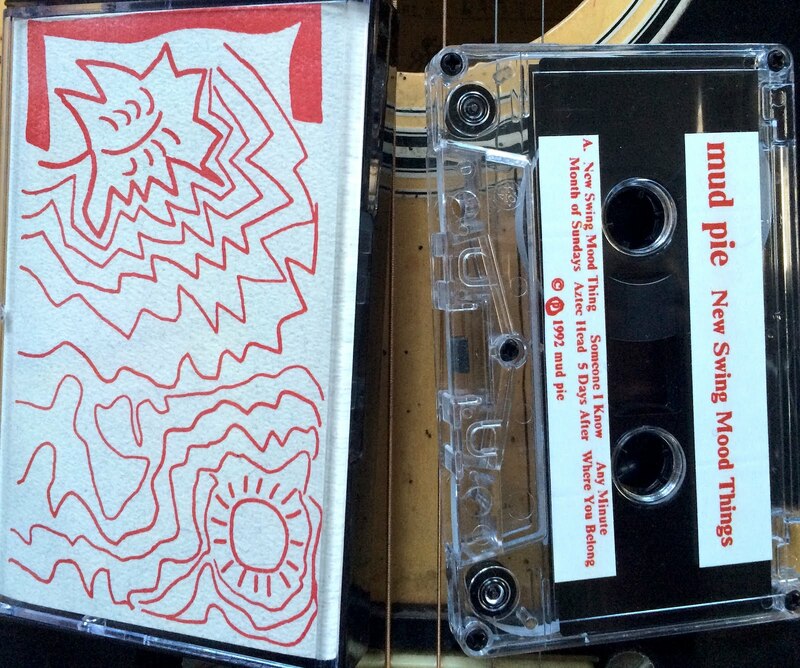 Mud Pie don’t sound one good damn thing like Pearl Jam, but they truly embody everything that was great about what falls under the Alternative>>Indie genre of lo-fi rock & roll til our last millenia’s end. 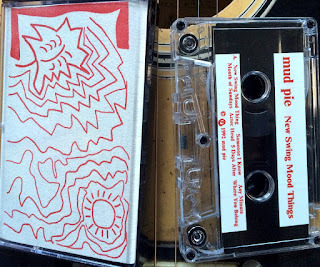 From Dayton, Ohio, I had my fair share of hometown heroes to get my chops watering: Guided By Voices, Swearing at Motorists, and the criminally underrated cAge, all of which may or may not be purposefully referenced within this rad tape. I actually had to google whether the lead singer of Mud Pie (from Philly) was or was not, in fact, the singer for cAge, once they broke up. Nope. Vocal Doppleganger? Yup! Ultra-minimal. Raw. Gritty. Catchy. Intimate. Sincere. Perhaps this is what budding rock musicians ought study before ever touching a guitar pedal? I am truly glad that this was re-released. The lyrics run like Dinosaur Jr with 50% less existentialism, so your best absorption rate will be optimized with the lyrics in front of you, as, sonically, they’re buried midway in the recording.